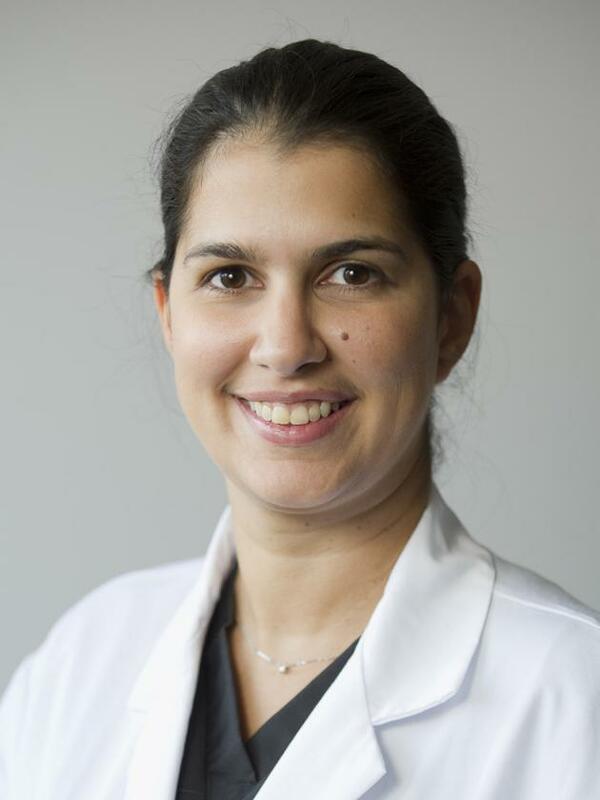 Dr. Eleni Kanasi, DDS, MS, PhD, CAGS, FICD is a caring and highly specialized Board Certified Periodontist with an extensive background in Implant Dentistry and Periodontology. A second generation dentist, Dr. Kanasi followed in her parents' footsteps with pride and passion. She received her dental degree (DDS) from Sweden in 2003. Her education continued in Boston, where with the support of the National Institutes of Health (T32) she received a Master’s of Science (MS) degree in Epidemiology from Harvard School of Public Health in 2006 and a Certificate in Oral Epidemiology from Harvard School of Dental Medicine in 2007. In 2008, Dr. Kanasi completed her Doctor of Philosophy (PhD) in Oral Microbiology, a collaborative program between the Forsyth Institute in Boston and Umea University in Sweden. Her thesis focused on the bacterial identification of initial periodontal disease and rampant childhood caries. In 2011, Dr. Kanasi graduated from Boston University with her Periodontology Specialty (CAGS) and received her Periodontology Board Certification in 2014. During Residency, Dr. Kanasi had active exposure and working experience in leading edge periodontal techniques, such as the Piezocision Accelerated Orthodontic technique, for which she is the only provider in the Northern Virginia area. Dr. Eleni Kanasi was an Assistant Professor at Boston University Departments of Periodontology and General Dentistry from 2011 to 2016. From 2013 to 2016, Dr. Kanasi was selected among multiple faculty to be a Group Practice Leader, responsible for comprehensive treatment planning of all the patients entering the group practice at Boston University. She was also selected by the Dean to serve as a member of the Admission’s Committee and elected a University wide faculty council representative of the Dental School for four consecutive years. Dr. Kanasi also took part in faculty development initiatives and leadership trainings. During that time she served as the active Periodontist at Boston University (2011-2016), Whittier Street Dental Health Center in Boston, Massachusetts (2013-2016) and practiced Periodontology and Implant Dentistry at the Faculty Practice of Boston University until 2016. Serving two different populations (the underserved and the one with access to care) gave a different perspective in her life and has led Dr. Kanasi to give back to the community and children through Early Head Start programs, Preschool dental education and as the Team Smiles organizer to benefit underprivileged children and their families. She has authored and co-authored multiple publications and book chapters. She has also received multiple awards including in 2014 the prestigious 10 Under 10 award by the Massachusetts Dental Society that honors the top ten dentist who graduated in the past 10 years and made significant contributions to the profession and the community and organized dentistry. She is a member of the American Dental Association, Virginia Dental Association, American Board of Periodontology, the American Academy of Periodontology and was honorarily inducted to the International College of Dentistry (FICD) in 2013. Dr. Kanasi has been practicing in Northern Virginia for over three years and is proud to be part of the Farhoumand Dental Family. In her free time Dr. Kanasi enjoys travelling and spending time with her two daughters and her husband.